Pop up exhibition comes Out of the Blue – Contemporary Art ETC….. 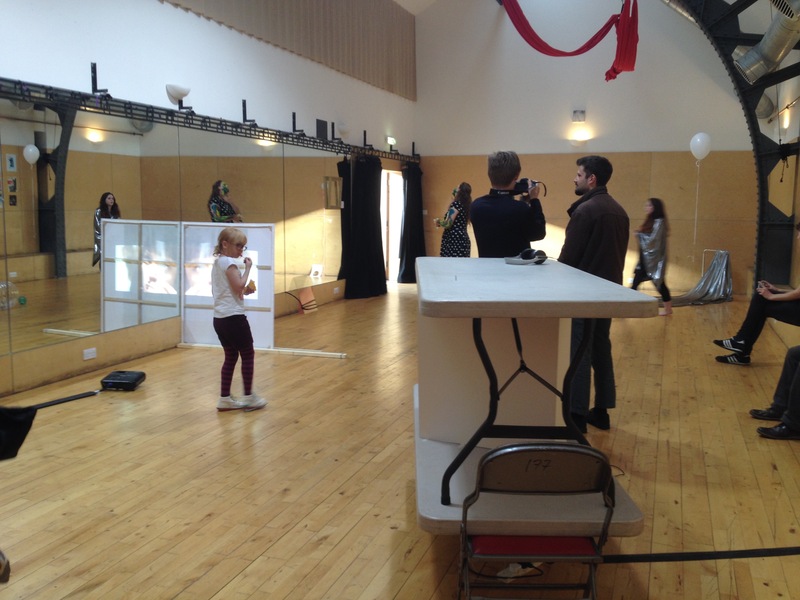 Despite being located in the rehearsal studio of the Out of the Blue Drill Hall in leith the artists had little opportunity before the 3pm deadline to test their ideas and assess how the works cohabited in the space. A difficult problem given the range of work on show which included sculptural intervention, drawing, painting, video and 2 simultaneous live performances but it was a problem ably overcome. Since graduating from Edinburgh College the group have moved on to art schools across the UK, Central Saint Martins, Glasgow School of Art, Duncan of Jordanstone College of Art and Design and Northumbria University.